PRS offers a comprehensive range of after-sales services. These services include a comprehensive Parts Outlet, normal routine servicing, all repairs and maintenance as well as accident damage repairs in our Body Shop. Note that all repairs will be carried out as specified by the manufacturer and professional, original Diagnostic Equipment will be used when required. All vehicles and spare parts sold through our network are covered by the various Manufacturers Warranties. Each Brand has their own Terms and Conditions that Apply to their individual Warranties. 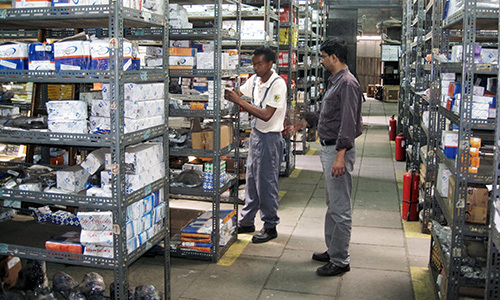 PRS uses only original spare parts for the brands it distributes in order to provide the highest standards of service and to guarantee product performance over the long term. Peugeot, Tata, SEM and Ssangyong. Warranty - Protect your Investment! All the brands we support come with a comprehensive vehicle warranty cover. The kilometers and periods vary from brand to brand. Your vehicle will be covered against manufacturing defects. As with all warranties there are certain limitations and requirements which you, as our Customer, should be aware of. Your vehicle must be maintained in accordance with the manufacture’s maintenance and service schedule. 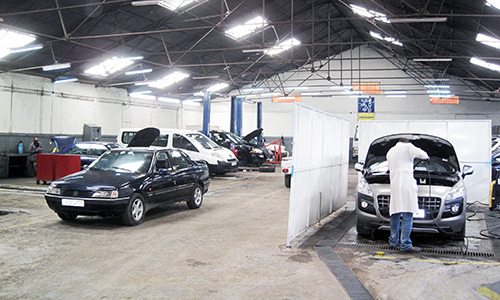 PRS stresses the fact that your vehicle is to be maintained by an authorised repairer, in this case, either at PRS Addis Ababa or at one of the listed Sub-Dealers in Ethiopia. The benefits to you are that your vehicle will be maintained to the Manufacturers' standards and that the Warranty will remain applicable and intact. You should ensure that the vehicles service history, service booklet is accurately completed and stamped by the servicing dealer after every service. Genuine Spare Parts carry a 3 month unlimited mileage warranty. You should read the Warranty Information Booklet supplied with your vehicle and be familiar with its contents.